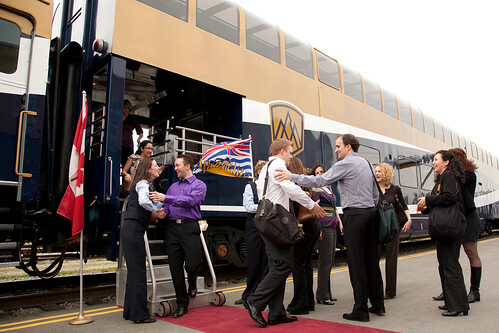 Last month, on April 19th, Rocky Mountaineer celebrated their 20th anniversary at their Vancouver station. 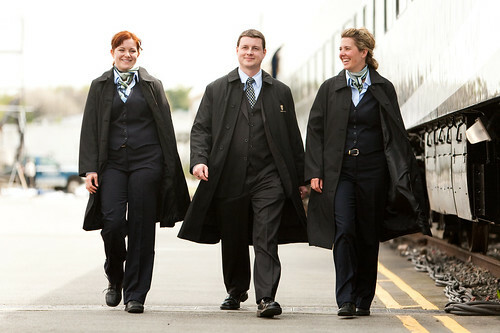 With a brand new locomotive and new uniforms, Rocky Mountaineer hired me to update their sales material with new photos. 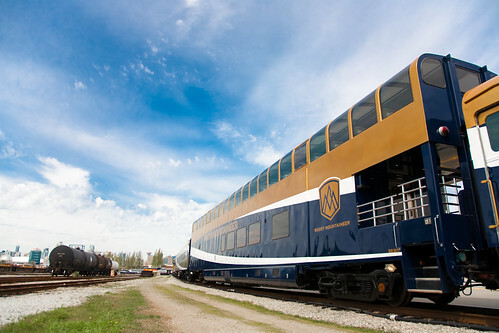 First up: the GoldLeaf Dome coach car. When you’re sharing a train for a week, you tend to make lots of friends. An on-board attendant describes the journey to two passengers. Our models rocked the new uniforms with their runway strut. Another look at the uniform, coat removed. 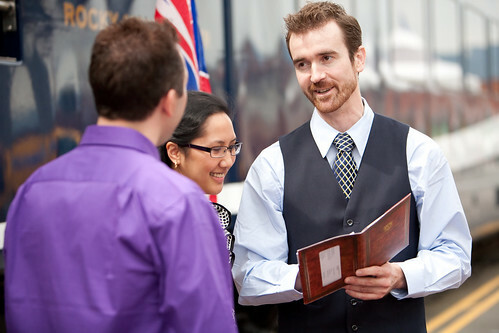 For the rest of the photos from Rocky Mountaineer’s 20th Anniversary, please visit Jeremy Lim Photography on Facebook.